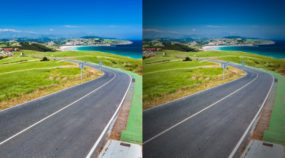 Non-destructive edits are edits that don’t destroy your original picture file. They keep you from having to take care of two separate versions of a picture—one edited, the other not. In short, they make editing work with large collections faster and easier to manage overall. First let’s take a few words to describe ordinary, destructive edits. Those are edits thatdirectly change a picture file, destroying its original version. And meanwhile, when a photo is edited and saved multiple times, the small quality losses that happen with each re-saving all pile up, which can be bad for a picture’s final quality. That’s why Zoner Photo Studio includes non-destructive edits, which have no negative effect on your originals. You can edit a photo however you like, and it will only be saved at the moment when you create a new, separate file with your picture (by exporting it). There’s no loss of quality. You don’t have to make copies to preserve your originals. You can undo your edits at any time. You don’t lose your edits in progress even if your PC suddenly loses power. 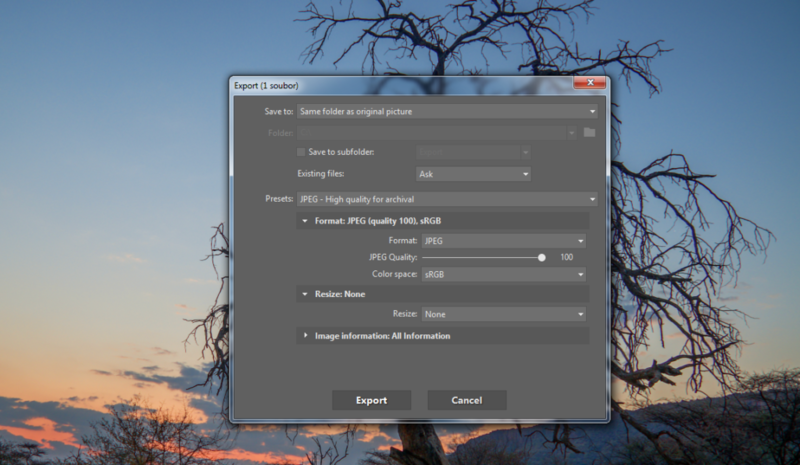 Use the Develop module in ZPS for non-destructive editing. In this module, you’ll find all the major editing functions gathered together in the right panel. You change exposure, colors, etc. in the usual way, by dragging the sliders or by clicking them and using the mouse wheel. To quickly restore the default value for a slider, double-click its name. The Develop module’s settings panel. Instead of overwriting your original, ZPS stores your edits in a new informational text file a few kilobytes in size with the same filename as the original, and with the extension .data-zps. This file holds information on all of your edits. These files created by ZPS are tiny compared to the space it would take to save each photo as separate edited and unedited versions. Non-destructive edits aren’t written back to the original file; instead they’re written to a data file with the extension .data-zps. ZPS stores an editing history automatically. That way, you don’t have to save interim versions. And if, for example, your laptop battery runs out when you’re not looking, you won’t lose any work. After returning to a picture in the Develop module, you see all of the sliders right back where you left them, and you can get right back to adjusting them. The data file isn’t an edited picture file, but it does contain a list of your edits. When you change a picture in Develop, leave, and come back to that picture, your changes are still visible, because they were stored in this file. And this is in fact a fairly typical workflow for in-progress photos. Meanwhile, you can easily tell which of your photos have non-destructive edits: just watch for the “three sliders” icon on their thumbnails. Hover over this icon to see what changes you’ve made to a picture in Develop. That’s an easy way to quickly tell an in-progress picture from one that you’re done with. Hover over the icon for non-destructive edits to see a list of them. It’s important to keep in mind that these are changes that can only be seen in ZPS, and that alongside the original file there’s a data file with the changes, without which you won’t be able to display your non-destructive edits. So if for example you copy photos without their data files or open them on another computer where you don’t have those files available, your non-destructive edits will not be displayed. And if you open a picture in other software, such as the Windows picture viewer, your changes will be invisible there as well. A comparison of how a non-destructively edited picture is shown in ZPS vs. Windows. 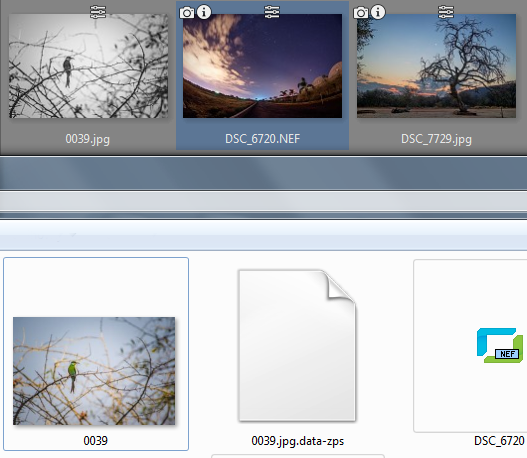 The edits are only visible in ZPS; Windows doesn’t see them. The same applies when you want to print your pictures or publish them somewhere. In those cases you need to finish up your “in-progress” photos, by exporting them. 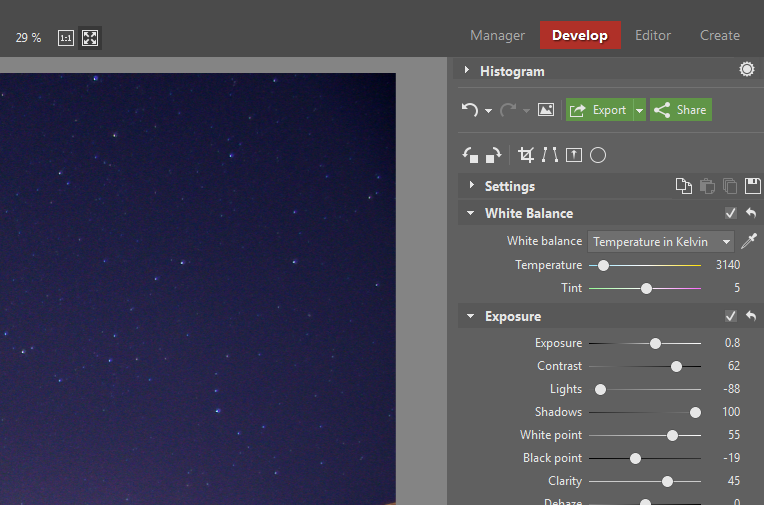 When a photo is ready, click the little triangle by the green Export button and choose how you’ll be using that photo. If you have disk space to spare, use JPEG – High quality for archival. 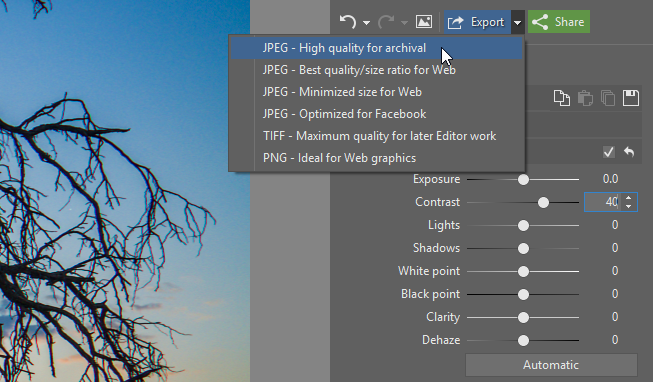 If you only want to use the photo somewhere on the Web at preview quality, then choose the corresponding option. If you have disk space to spare, export pictures at high quality. After making your pick, you just need to choose where you want to save the exported photo file and choose its quality and other parameters. An exported photo’s location and quality. You can export photos at any time, and you can do it not only from the Develop module, but also from the Manager. There you can even export a batch of photos at once. For example, a set of photos that you just found using the Quick Search box. If you’ve been using ZPS for a while, you might know about another way of returning to pictures’ original versions—our Backups of Originals feature. That feature is useful, of course. 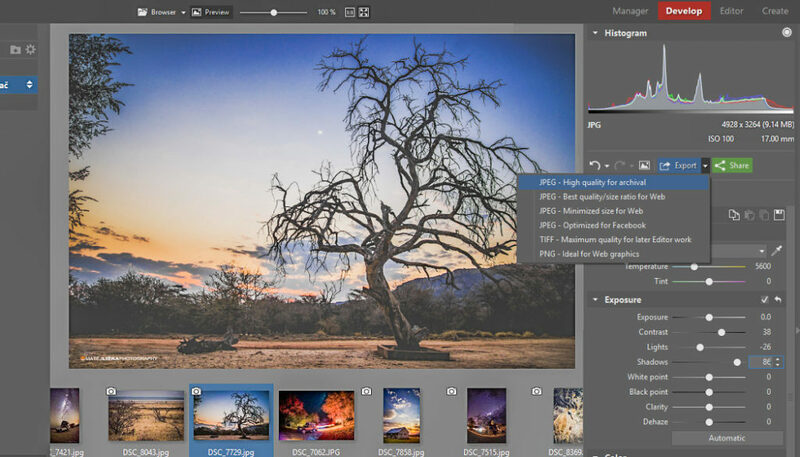 Its main difference from non-destructive edits is that non-destructive edits also store every step you’ve taken along the way, enabling you to roll your steps back. Another major advantage of non-destructive edits is that you don’t have to worry about whether you’re editing RAW or JPEG, because Develop can handle them both and treats them both the same. 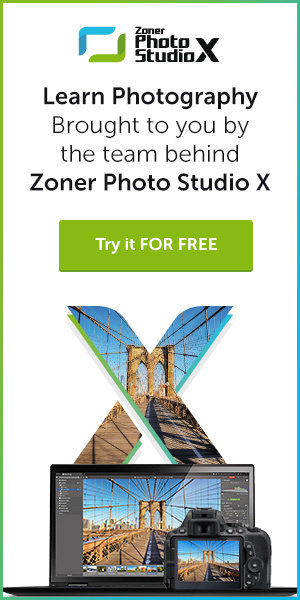 So try Zoner Photo Studio free for 30 days and learn to make non-destructive edits to your photos. You’ll save lots of time—and disk space too.